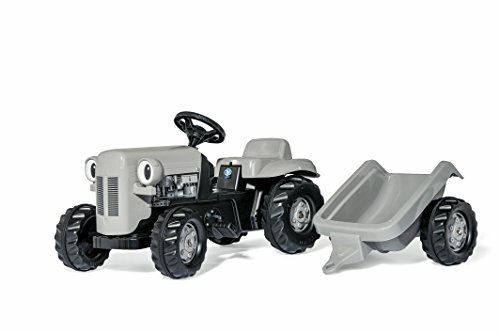 The Kettler little grey Fergie tractor is an excellent option for pedaling play for your child. 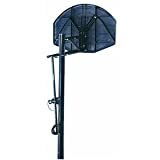 The fully enclosed chain drive system keeps your child away from pinch points, keeping your little one safe. Oversized resin tires with long lasting rubberized tread strips provide ample traction. Pedal cranks with eccentric bearing allow for better mobility and a smooth ride. The front hood of the tractor lifts, allowing children to play with the imaginary tractor engine. The Kettler little grey Fergie tractor has a high-impact blow-molded resin body for durability and includes a detachable rear hauling trailer.